Bubba N Stix (Sega Genesis, 1994) Cartridge Only, AUTHENTIC! WORKS GREAT! 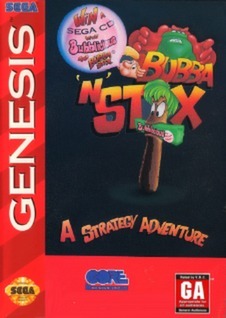 **Bubba N Stix (Sega Genesis, 1994) Tested - Free Shipping!